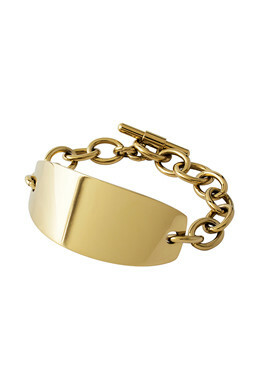 Chunky and modern chain bracelet in a gold toned finish, with a metal plate on the front. The bracelet draws attention with its notable and clean look. The chain bracelet looks great on all wrists. Made with a toggle closure.